There are a lot of iconic sitcoms from the '90s, but few are as memorable as NBC's The Fresh Prince of Bel-Air . The 1990 comedy series was a stepping stone to superstardom for Will Smith and has a still quotable theme song. This year, the sitcom celebrates its 25 anniversary and there's still a lot you may not know about Fresh Prince of Bel-Air. I mean, I mostly remember watching the series on Monday nights on NBC along with Blossom (remember that show?) and thinking it was a pretty cool night of teen comedy. That and trying to do the "Carlton dance" in my room. Because why not? The plot of Fresh Prince is so easily described in its iconic theme song: After getting in some trouble in his native West Philly, Will Smith (playing an alternate version of himself) gets sent by his mother to live with his well-off Uncle Phil and his family in Bel-Air. Hilarity — of course — ensues. And like so many other '90s shows, Smith announced last month that Fresh Prince of Bel-Air would be getting a reboot, according to TVLine. 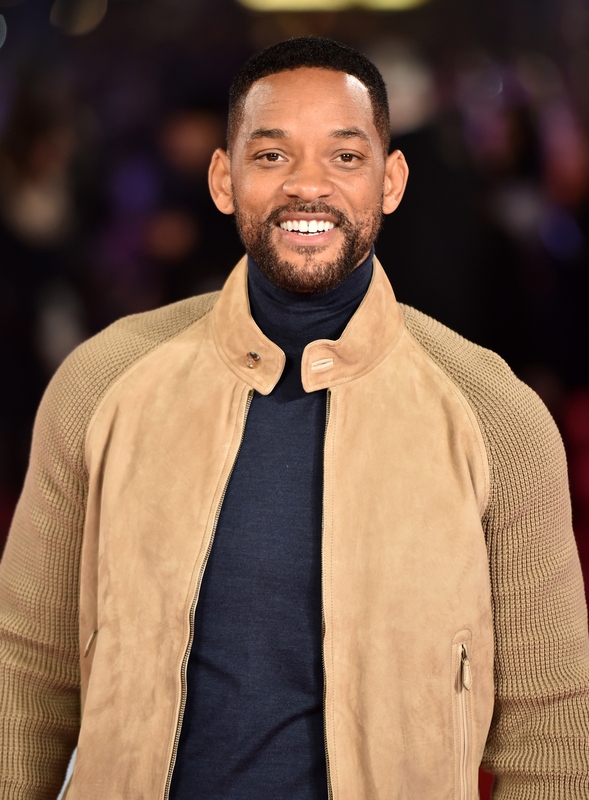 Smith's production company Overbrook Entertainment is currently developing a new version of the series that would take the Fresh Prince from 1990 to 2015, but still maintain the spirit and family values of the '90s classic. But before a new version graces our screens, here are some things you may not have known about Fresh Prince, the classic version. According to the New York Times, the series "was most highly touted show of the fall television season" in 1990, yet it featured a rapper who had not acted before and rap, a not-yet-mainstream genre to most audiences. NYT actually credits the show for bringing rap into the mainstream. Executive producer Quincy Jones (yup, that Quincy) told the newspaper that rap was never at the forefront of the show. ''Rap is not the primary focus," he said. "If you took the rap out, the premise wouldn't fall apart. But rap gives you the purest street awareness." He had a pretty great run as a rapper — remember "Parents Just Don't Understand" and "Summertime" (above) with DJ Jazzy Jeff? — but Smith spent those earnings and didn't leave enough for the tax man. At 19-years-old, Smith owed $2.8 million of his $2.83 million to the IRS, according to an interview with 60 Mintues. "The IRS came and took all my stuff," he told the CBS news show in 2007. "They were talkin' about I didn't send them no money, you know. And I mean, I didn't, but I just didn't think it didn't need to be such a big issue." For a new start, he moved to Los Angeles and NBC offered him a sitcom. He didn't even have to audition. "The first time that I performed as an actor was the first day on the set of The Fresh Prince of Bel-Air," Smith told 60 Minutes. Was he a natural? Well, sort of. Smith told 60 Minutes that he tried very, very hard not to mess up the opportunity. "You can look at the first six episodes of The Fresh Prince and I was so just hell bent on not failing that I memorized the entire script," Smith said. "And you can see in certain shots they tried to cut around it as much as they can, but I am mouthing the other actor's lines. It took six episodes for someone to tell me to stop doin' it." Back in 1990, the NYT gave Smith a rave review for his first foray into acting. "Mr. Smith displayed a strong sense of comedic timing, mugged for the camera at will, improvised dialogue with alacrity," wrote writer Larry Rother. That familiar and gorgeous house you see in exterior shots of the Banks home? Well, that's a real house located in the Brentwood neighborhood of Los Angeles, located at 251 N. Bristol Ave. According to Zillow, and the house is estimated to be worth more than $9 million. Smith wrote and performed the iconic theme song, which pretty much sums up the plot of the series, and it was composed by the legendary Jones. In 2013, a student at a Philadelphia school had reinterpreted the Fresh Prince theme as his voicemail greeting. Unfortunately, one of his teachers misinterpreted a lyric as "shooting people outside of the school," instead of the actual lyrics: "shooting some b-ball outside of the school." The school went on lockdown. Yikes. At the end of Season 4, NBC canceled the sitcom, but decided to bring it back after an outpouring of letters from fans — and pleas from TV affiliate managers. According to IMDB, the stations saw how well Fresh Prince was doing in syndication and saw it as an early binge-watching phenomenon. They banded together to buy the fifth and sixth seasons of the series at a very inflated price to ensure that the peacock network wouldn't lose any money for picking up the show. And the risk worked out for everyone. It was like the 90s equivalent of Netflix picking up a show. Even though Fresh Prince shows Smith's buddy Jazz getting thrown out of the Banks home throughout the series, that shot was only done once (you can see that he's always wearing the same shirt). According to an interview in Variety, Alfonso Ribeiro (who played the Tom Jones lovin' Carlton) created the now famous and enduring "Carlton dance" to Jones' song "It's Not Unsual," because in the scripts it just said "Carlton dances." His two sources of inspiration? Cox dancing in the Bruce Springsteen music video for "Dancing in the Dark" (above) and Murphy's "White Man Dance" from his comedy special Raw. "It was never even intended to be funny; it was just that he was dancing," Ribeiro told Variety. According to an interview on Good Morning America, the cast kept a little notebook where they'd write sentiments over the course of the shows six seasons. Karyn Parsons (who played Hilary) has it in her possession. "In the kitchen, there was a drawer in the island that had a little diary," she told GMA. "Every now and then a camera person or the actors, somebody would just write silly poetry or 'James is getting on my nerves.' We would make little notes, so I took that. In 2014, Parsons told GMA that as much of a megastar Smith is these days, he's still "down-to-earth" and was willing to help her with her Kickstarter campaign for The Janet Collins Story , a short film from her organization Sweet Blackberry. Ribeiro also contributed time and Kickstarter rewards to the film and Tatyana Ali (who played Ashley) is on the board of Sweet Blackberry. Parsons got her initial encouragement to found the organization from Uncle Phil, a.k.a. the late James Avery. They've also appeared together in different combinations over the years. In 2013, Smith, Ribeiro, DJ Jazzy Jeff and Smith's son Jaden performed the show's theme song and the "Carlton Dance" on the UK's Graham Norton Show (above). Once a family, always a family, it seems.